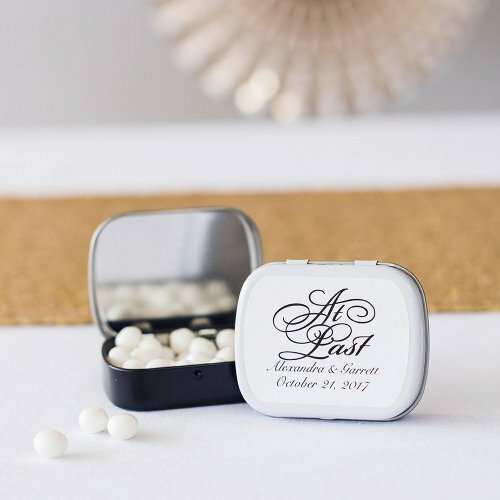 Everyone loves mints – especially after a meal – and these little tins of mints would be great in several ways. You could set out bowls of them at each table, or near the bar, or near the doors. Or you could create a little care package for your out of town guests and add a couple tins to each package. They’re a cool and fun little favor year round! And you can choose from several personalized designs so you’ll be sure to find something perfect for your big day! You can find this minty favors here.